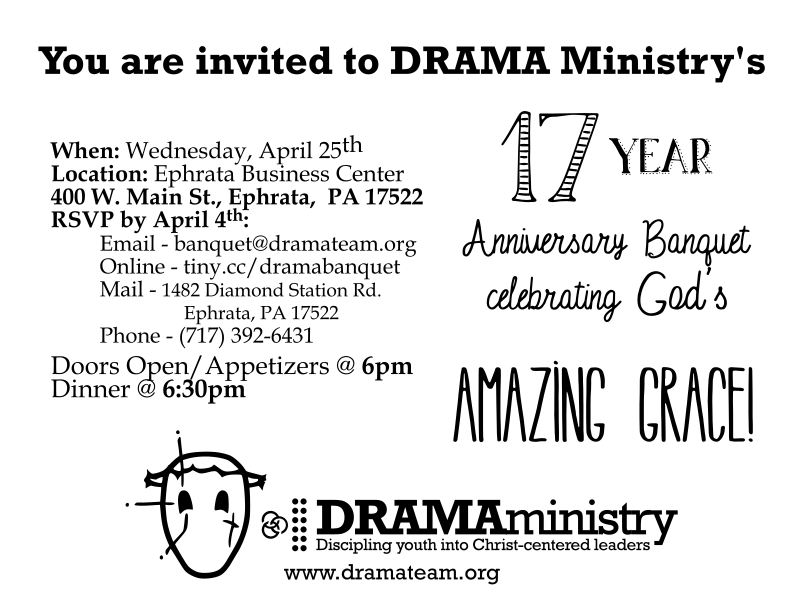 DRAMA Banquet – April 25! 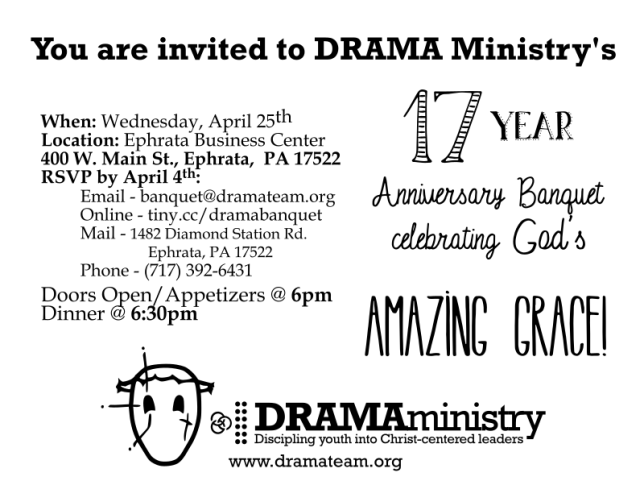 This is a great event to hear about what DRAMA is all about, how God has been at work this last year and to support Christ-centered discipleship of young people in Lancaster County, nationally and even internationally. See you there!